Crepes don’t have to be filled with sweet fillings. 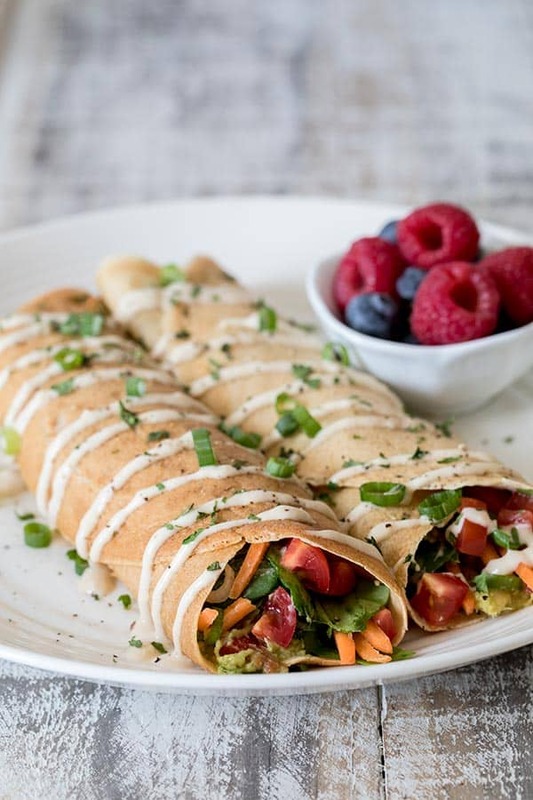 These savory Avocado Crepes with Lemon Tahini Sauce are a fantastic, healthy way to start the day. If you love Avocado Toast, you’re going to love these Avocado Crepes. I’ll admit if I had a choice between two crepes, I’d pick the sweet crepe. 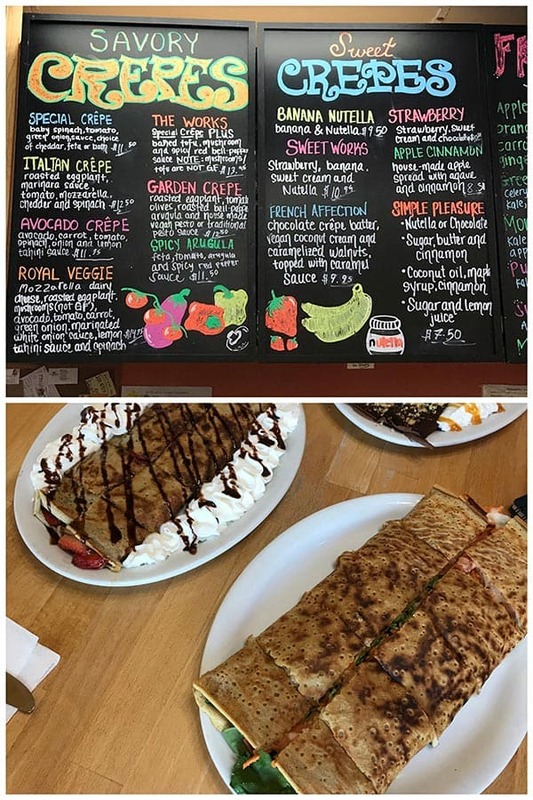 However, that may be changing because I fell in love with the Avocado Crepe at the Crepe Bistro in Santa Clara, California, and I couldn’t wait to come home and recreate it in my kitchen. A few weeks ago, I had the opportunity to attend a blogger’s conference at the Googleplex in San Jose, California. While we were there, my roommate, Neena from Paint The Kitchen Red, and I checked out a couple of the local restaurants. At the Crepe Bistro we ordered three crepes – for research purposes of course! Since we were traveling home later that day, we didn’t want to order just sweet crepes. So we ordered the Sweet Works crepe, the French Affection (which I plan to recreate at home too), and the Avocado Crepe. The Avocado crepe was loaded with healthy veggies, so it had a nice crunch, but it was also creamy and delicious from the avocado. It also had a burst of flavor from the Lemon Tahini Sauce drizzle on top of the veggies. Avocado toast makes a frequent appearance at my house for breakfast. However, I often have a hard time finding avocados that are at the perfect stage of ripeness. They’re either too hard, or too soft. So for myAvocado Crepes, I decided to use a shortcut. Instead of using slices of avocado, I used prepared guacamole. Costco sells individual packages of guacamole. It’s nice to have on hand for quick lunches or topping tacos at dinner. One package is enough avocado for two crepes. If you prefer, you substitute smashed avocado, or slices of avocado. For the filling I used pre-sliced matchstick carrots, baby spinach, diced a couple of grape tomatoes and chopped one green onion – things I typically have on hand for salads anyway. The Lemon Tahini sauce comes together in a flash as well. There’s only six simple ingredients in the sauce. It has a brighten lemon flavor that pairs well with the avocado and veggies. If you’re not familiar with Tahini, it’s a paste made from sesame seeds and it’s high in protein. When you add the lemon juice to the Tahini paste, it thickens up. So just add water a little at a time until it’s a good consistency for drizzling. I just bought a jar at my local grocery store. 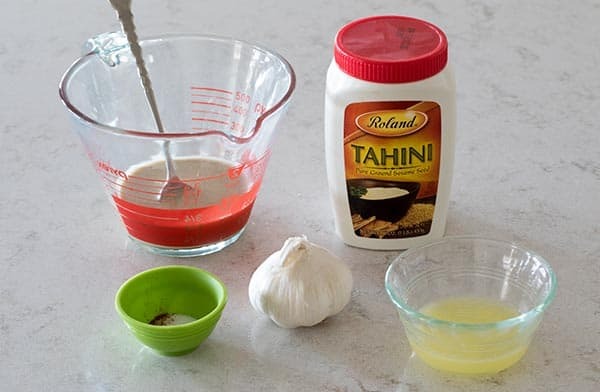 Here’s more good info about Tahini. The whole wheat crepe batter is made in the blender, so these Avocado Crepes come together so quickly. Crepes freeze well, so you can make them ahead of time if you prefer. 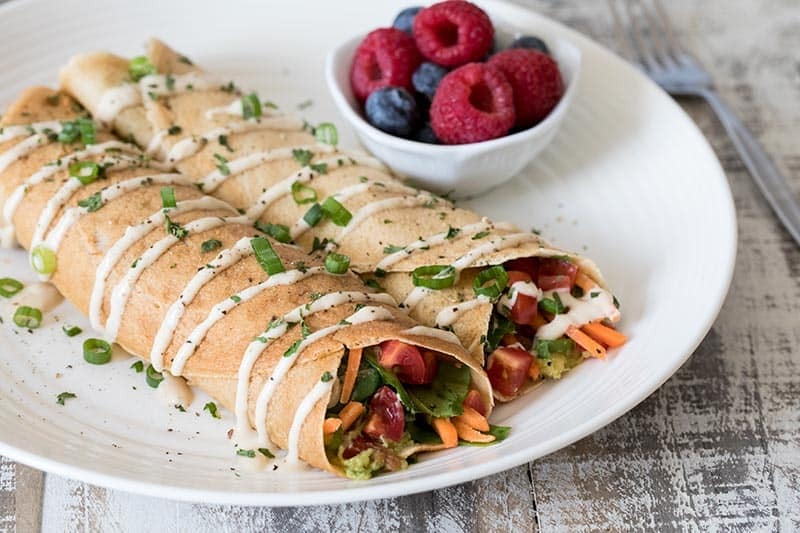 If you’re like me and struggle to eat enough veggies throughout the day, definitely give these Avocado Crepes a try. Any time I can get my veggies in in the morning is a great day for me. I think you’ll love them too. Whole wheat crepes: Add ingredients to blender jar in the order listed, cover and blend until smooth. If necessary, you can strain out any lumps. Heat an 8-inch skillet or crepe pan over medium heat and lightly coat with butter or cooking spray. For each crepe, pour 1/4 cup batter into the center of the skillet and immediately rotate the pan until the batter covers the bottom of the skillet in a thin layer. Cook until light brown and the top begins to dry out, approximately 1 minute. Flip and cook an additional 30 seconds. 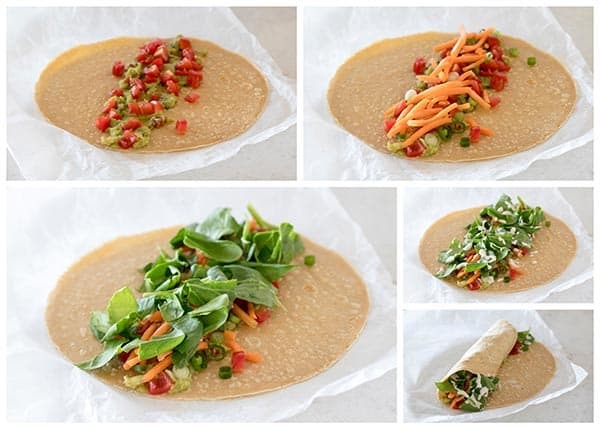 Fill each crepe with avocado, carrot, tcmato, green onions, and spinach. Drizzled with Lemon Tahini Sauce and roll up. What a great idea! I’ve seen savory crepes before, but never with avocado. Thanks! Definitely give it a try. Oh, good heavens! Why did I never think of avocado crepes? Delicious, and a little lighter than avocado toast. I’ll have to remember this. It seems like it would be fun for a crepe party. Also, if you like lemon juice with avocado, you might like sumac. They sell it at Penzeys and it’s kind of similar to the lemon, but looks way cooler with the little purple speckles. Thanks Erin! I love the idea of having a crepe party. wow Barbara, these look delicious! You definitely need to start using that crepe pan. They’re so easy you’ll wonder why you haven’t made them before.